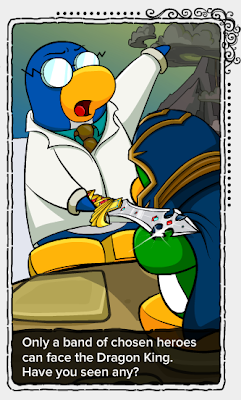 Club Penguin Cheats by Mimo777 Club Penguin Cheats by Mimo777: Club Penguin Time Issue #343 is here! Oh no! 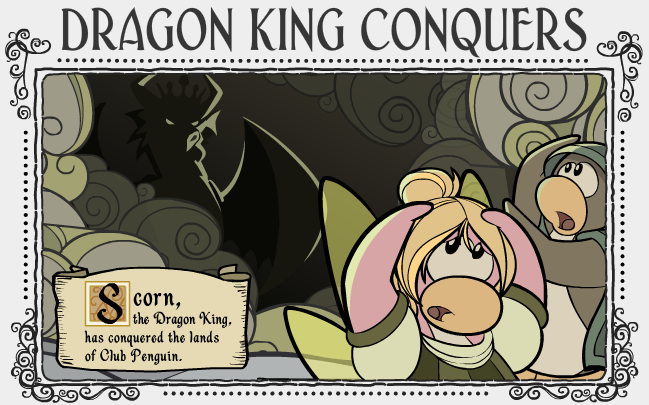 The Dragon King has conquered? Not so fast! 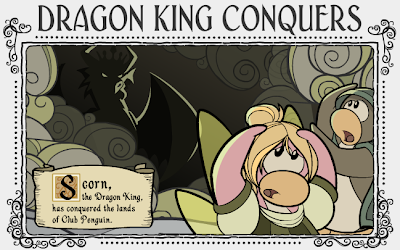 You need to defeat the Dragon King before Chapter 2 next week! Awesome! 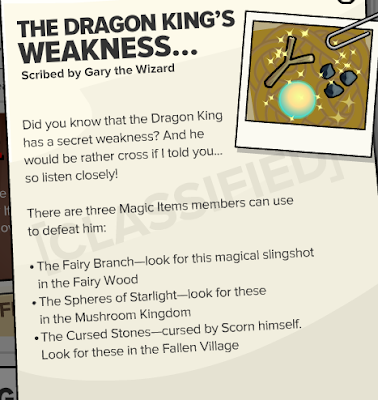 Now non membs can complete Knight's Quest II! Whoa! 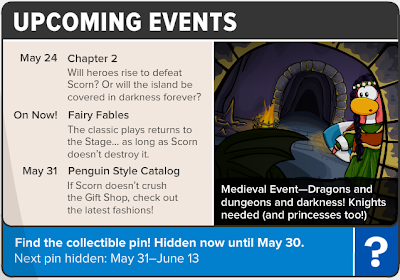 Chapter 2 of the Quest will be here next week! Finally, secrets we can use! Woot! 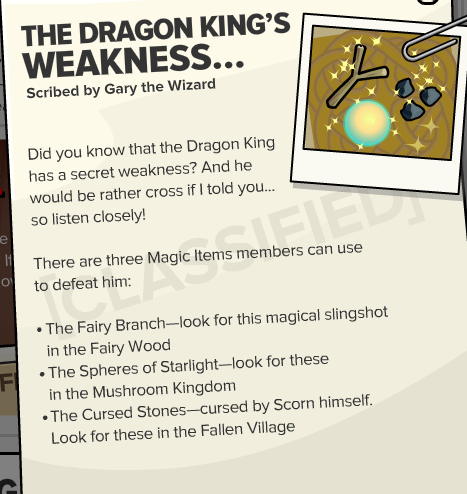 Now get out there and get that dragon... if you haven't already! 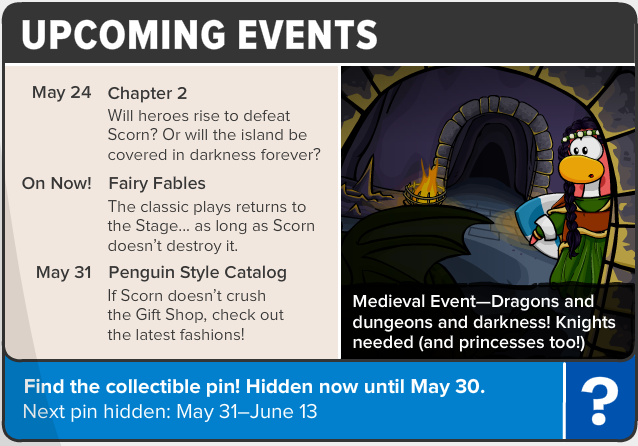 Scorn conquered Club Penguin and didn't censor the news?